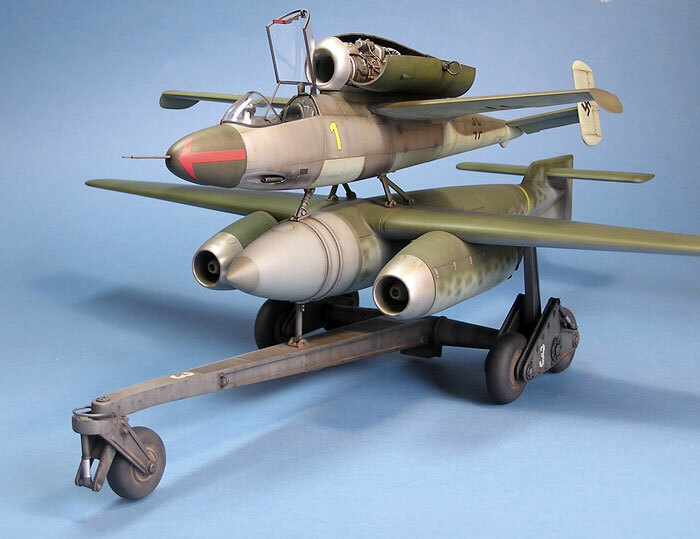 Here is my latest model, built for an upcoming feature, of a Heinkel 162 Salamader with Arado E377a. 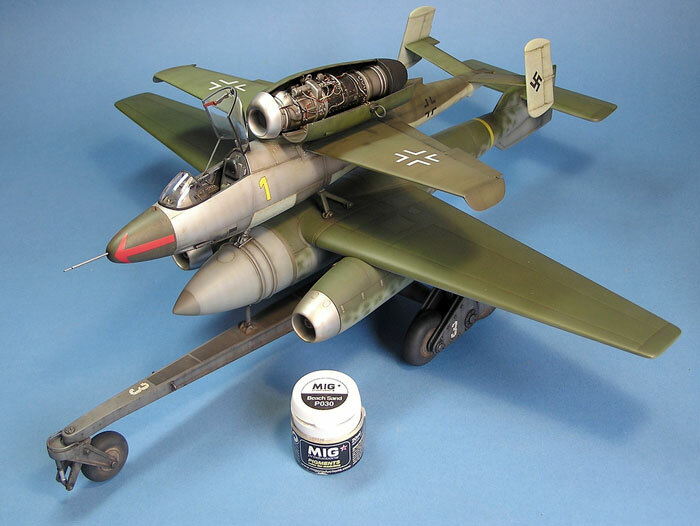 This is built using Cammett's very impressive conversion kit which provides the trolley and the flying bomb itself, the He 162 being Revell's model with some adjustments to improve it slightly (I didn't go mad with the detail because the model will be more about the scene that I build around it, than as a standalone piece). As you can see (I hope...) the trolley has been painted to reflect a well-used item, as has the He 162, the E377 being painted to look new - they were to be, after all, a one shot deal and thus would never have looked weathered in service! As it stands, there is a little work to be done on it, some small details to add and a little touching up here and there - all of which will be carried out a few weeks from now after I've regained my objectivity for it; sometimes you can look at you own work for a little too long and not see any potential problems that may affect it. 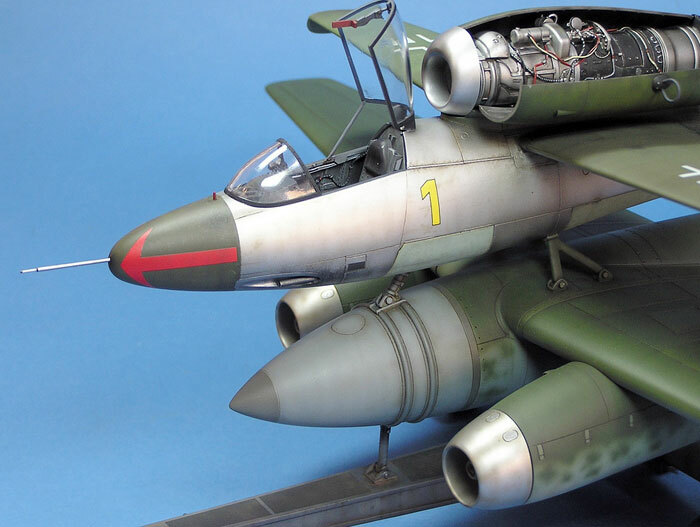 The pot of Mig Pigment is used to give an idea of the size of this far from small model. As already mentioned, this combination will be used for a feature that will be published later in the year in MIS and so this job is only half complete; the model will form the centrepiece of a large diorama set in 1946 and will include a building or two, some abandoned equipment and maybe a wrecked Bf 109 or two. Think of 'Junkyard' but with aircraft and you'll be somewhere close! I hope that you like it - despite the iffy quality of the pictures - this model is a real pig to photograph!